The US Missile Defense Agency (MDA) has released video of a test conducted yesterday using a dummy missile that was launched north of Hawaii. The missile was obliterated by another missile shot from Alaska by the THAAD defense system. And it’s a not-so-subtle message to North Korea that the US is ready to shoot down any object that may threaten US airspace. 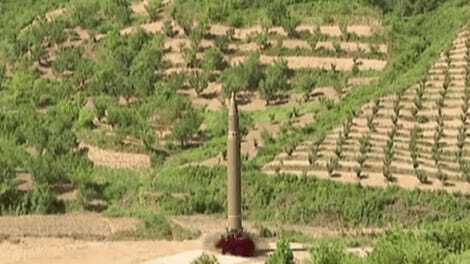 North Korea recently tested an intercontinental ballistic missile (ICBM) that many experts believe could reach Alaska, despite the fact that the isolated country has yet to prove that it can miniaturize a nuclear weapon to fit on an ICBM. But that hasn’t stopped the US military from aggressively testing its offensive and defensive capabilities as the situation on the Korean peninsula heats up. The newly released video shows a US Air Force C-17 launching a dummy missile from over the Pacific Ocean, somewhere north of Hawaii. 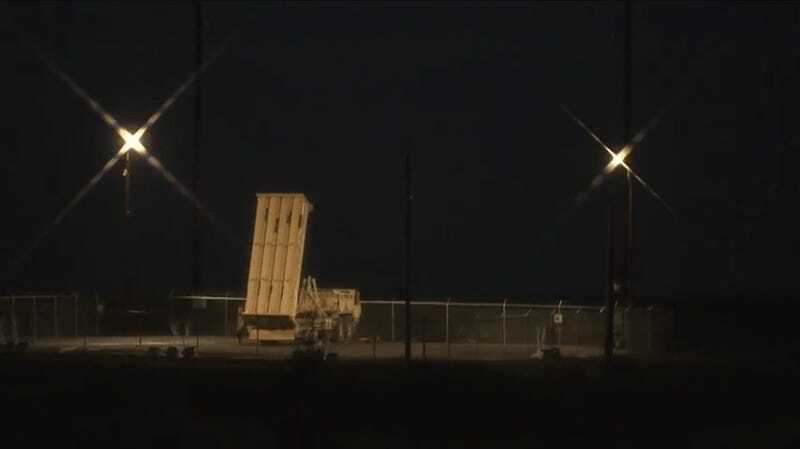 The THAAD missile defense system stationed at the Pacific Spaceport Complex in Kodiak, Alaska tracked the launch and sent out its own missile to destroy the dummy target. The THAAD system uses kinetic energy rather than explosives to neutralize an incoming missile. The missiles launched from the THAAD system are designed to simply destroy the target using its own force. But even if the “defensive” missiles are inert, they can still pose a problem if they don’t hit their target. Jeffrey Lewis from the Middlebury Institute of International Studies recently wrote in the Daily Beast about how a misfire by the THAAD missile defense system could accidentally trigger a nuclear war. And it’s pretty terrifying. North Korea has naturally been very interested in the THAAD system, even sending a drone at least 177 miles into South Korea to spy on it before it crashed. The drone was discovered to have photos of the THAAD missile system on a store-bought Sony camera.